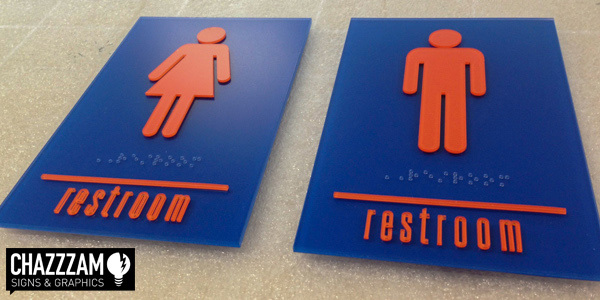 In general, almost every sign that would be considered a “marker or label” sign must comply with strict ADA Guidelines. 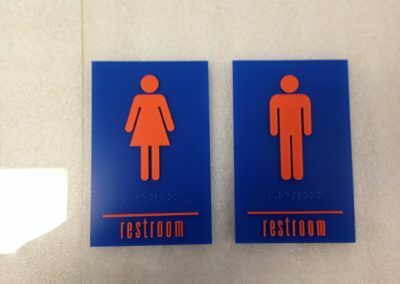 If a sign identifies a permanent room or space of a facility (including exits), directs or informs about functional spaces of the facility; or identifies, directs to, or informs about accessible features of the facility, it must comply. 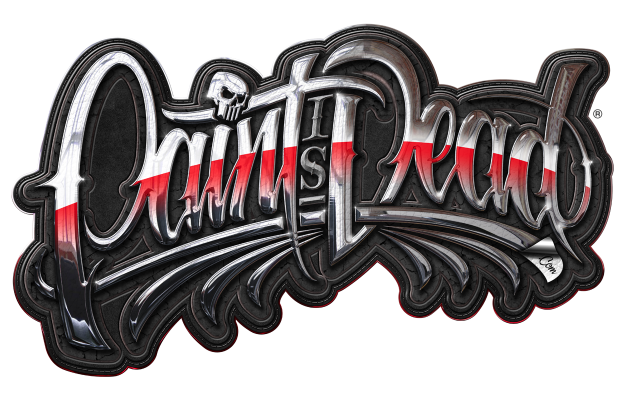 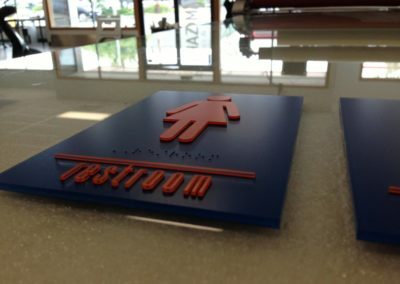 Signs for advertising and marketing purposes, temporary signs, company logos and names are examples of signs or sections of signs that do not have to comply. 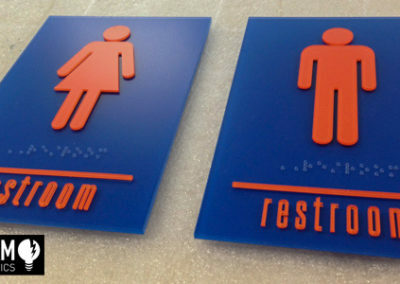 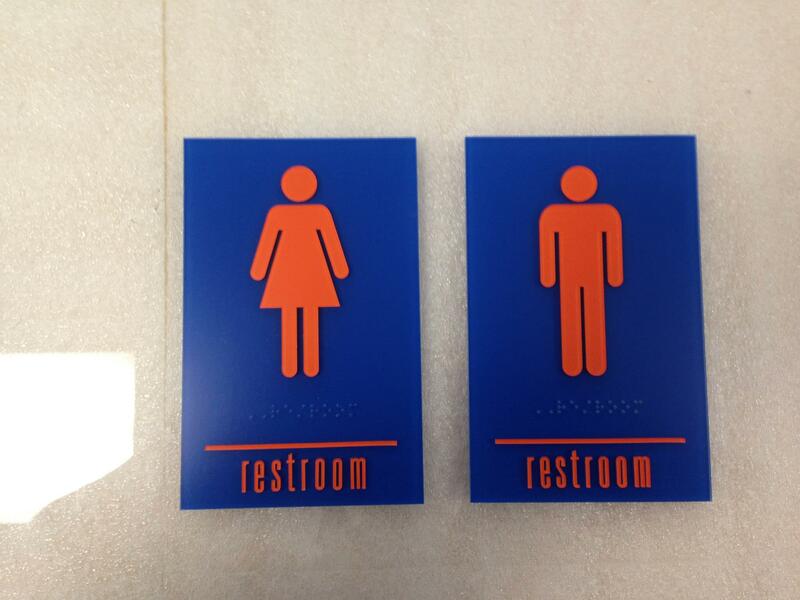 Check out some of the custom ADA Signs we’ve recently made for our clients at Chazzzam.